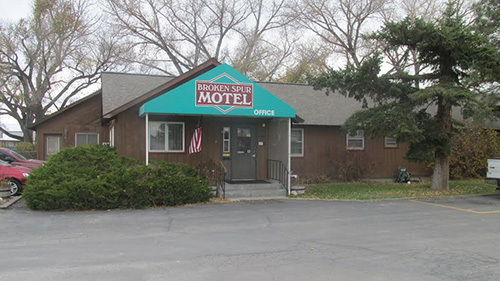 Join us at the Broken Spur Motel for comfortable surroundings and quality amenities. Our guests enjoy beautiful nature surroundings in a friendly western atmosphere. With continental breakfast, internet and satellite television, we provide superior service at affordable rates. Are you looking for an affordable motel with top amenities in a beautiful setting? The Broken Spur Motel is the perfect place. We offer a friendly atmosphere that includes quality amenities – that won’t cost you an arm and a leg. Your comfort is our top priority. We offer continental breakfast, internet and satellite television to all our guests. Our accommodations include both queen beds and a friendly staff. Clean and comfortable, our motel in Three Forks, MT is just what you need for an affordable night’s stay or a week-long getaway to beautiful Montana. The Broken Spur is truly a home away from home. We are locally owned and operated, for personalized service and a friendly atmosphere. We strive to make our motel your home away from home. Our quality amenities include free continental breakfast, high speed internet and satellite television. We are conveniently located near area attractions, including Yellowstone National Park. Contact us today to book your stay in our inviting surroundings, complete with quality amenities and friendly staff.